Do you want to grow your pecs? 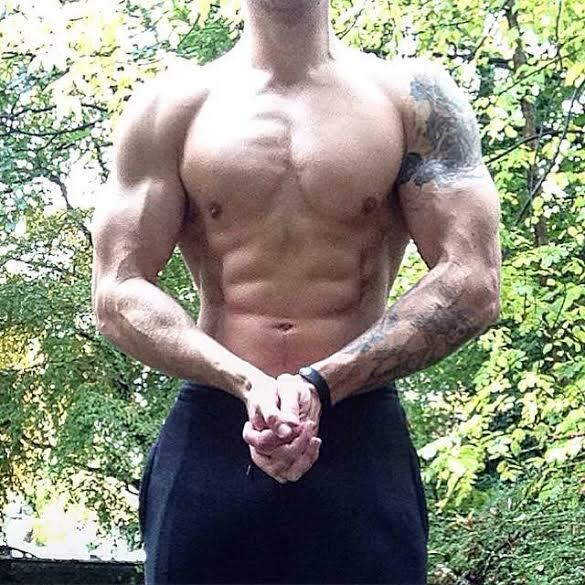 Have you been training your chest but not seeing any improvements? Are you tired of being flat chested? Don’t worry if you are… I can relate! That was me a couple of years ago. I hated my pigeon chest! Thankfully my chest has grown, because i’ve stopped training it incorrectly and learned how to activate the muscles properly! In this post i’m going to share with you 4 Highly Effective Ways To Grow Your Pecs so that you can get a BIGGER chest and avoid the same silly mistakes that I made! Some guys just naturally have a barrel chest – i’m not one of those guys! I’ve had to work extremely hard over the years just to get a decent sized chest. At times i’ve even trained my chest 4x per week! BUT for years I just couldn’t get my chest any bigger even though I was getting stronger, for example I was able to do 100kg bench press…BUT still my chest just refused to grow! My chest wasn’t growing because I wasn’t activating my pec muscles correctly. My shoulders were rounded forward, I had a weak upper back, tight shoulders, one arm bigger than the other – a combination of these factors meant that my chest wasn’t getting worked…no matter how many presses I was doing each week! I know this sounds crazy right, but for the next month why not forget about training your chest, especially if it’s not growing. One of the things I did was stop training chest for a month whilst I focused on my weaker muscles, for example my upper back. I spent time working on developing my lats by doing deadlifts and pull ups, I spent time working on my mid back by doing: one arm dumbbell rows, and bent over barbell rows. I also focused on scapula exercises, which helped me to pull my shoulders back, so that when I eventually went back to chest I could feel the correct muscles working. To improve my scapula I did lots of mobility drills and exercises like the Cuban Press. As a result of this my posture improved, and when I went back to training chest it immediately started to grow! I know this may be pointing out the obvious, but is your technique correct when you train chest? Far too many people don’t/cannot pinch their shoulders back whilst pressing. What happens is that they press and round the upper back, this leads to the shoulders doing most of the work, and your chest therefore fails to grow! Is your technique spot on? If you have any doubts then why not hire a personal trainer? Pay for some 1-1 coaching from a personal trainer who knows what they’re talking about. A good coach will be able to assess your technique and provide a proper program and select exercises that are suitable for your situation. My shoulders are usually always tight, especially the front shoulders. Like most people this is down to lots of computer work (where your shoulders are internally rotated) and daily activities such as driving. Before I train chest I always spend 5-10 minutes on the foam roller, where I loosen off my pecs and front deltoid muscles. I’ll also do plenty of mobility work before training chest, things like arm swings forwards and backwards. By doing the above you’ll be able to increase your range of motion, improve blood flow and overall training performance. The best pre training combo I find is starting with foam rolling (5 mins), followed by mobility drills (5 mins), followed by scapula activation drills (5 mins). This way you take your body through a program that loosens the tight muscles, warms up the joints, and then finally activates the scapula – to help you during any pressing movements. After a chest session I always like to stretch out my pecs, usually in a door frame or on a fitness ball – check out these pec stretches. I also like to stretch out the biceps, many people have short and tight biceps which can pull the shoulder joints forward and cause internal rotation. I’d recommend spending 5 minutes after a session loosening off your chest, shoulders and biceps. Try out the above 4 strategies and let me know how you get on!